The water utility landscape is shifting, none more so than in smart metering as utilities across the globe increasingly adopt fixed communication networks and Advanced Metering Infrastructure (AMI) solutions. Indeed, three out of every four communicating meters shipped in 2023 will use a fixed network. This shift aligns with utility priorities as they focus less on collecting meter readings and more on extracting the full value from the data. Technology vendors will play a key role in this transition as they assume greater operational responsibility, providing and supporting the services once wholly done by the utility. For example, annual global revenues for vendor managed, meter-data based services are on the rise: IHS Markit estimates this Opex revenue will exceed $576 million between 2016 and 2023. Water utilities have historically been slower to adopt smart meters than other metering types such electricity. On average, water utilities are smaller and have less resources for investment than these other types of utilities, whilst there has been less national legislation activity for smart water meters too. However, the decreasing price of connectivity, and the increasing value of metering data have both continued to improve the business case for water. Likewise, new business models such as SaaS (Software as a Service) allow smaller utilities to reap the benefits of large scale software offerings at a more reasonable price. 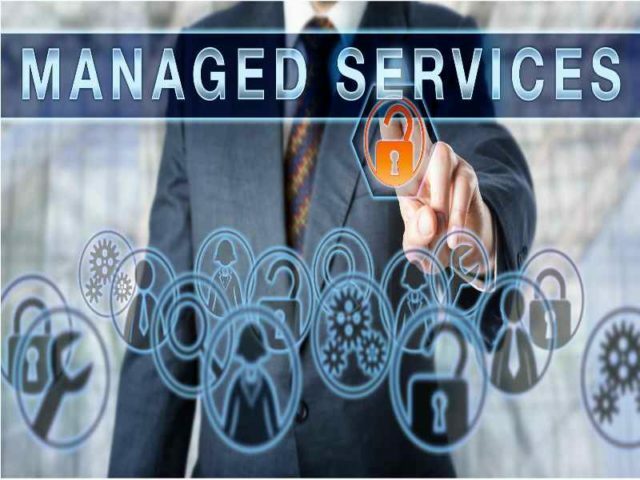 As a result, vendor managed service offerings start to focus onto solutions that target meter data management (MDM), billing automation, data verification, or leakage detection. What does the global picture look like? Some trends are global, while others dramatically vary by region. Today, the most universal trend is for utilities to move towards hosted software (basic SaaS model). By 2023, IHS Markit forecasts that 89% of all new MDM software licenses will be on a vendor-hosted basis. In the short term, North America leads adoption of meter-data based services and revenues closely followed by Europe. This is largely due to the significantly higher installation base of communicating meters and MDM as a Service constitutes the highest proportion of utility Opex spend in North America, while Network as a Service is the highest in Europe. However, Asia-Pacific (largely dominated by China) leads the long-term forecast; driven by a significantly increased adoption of communicating meters in water forecast over the next seven years. In 2022, IHS Markit forecasts that annual Opex revenues in the Asia-Pacific region will eclipse those of North America. How is business changing for water utilities and technology vendors? The future for AMI in water metering is bright. The water meter of the future will be significantly more integrated into multiple utility software systems which are designed to help fully deliver the value of metering data to the utility. The offer of Opex, managed service offerings helps to accelerate adoption too; between 2016 and 2023, IHS Markit forecasts that annual global Opex revenues will increase by over 1000%. This trend is indicative of a fundamental shift in the relationships between technology vendors and their utility partners. Over the coming years, vendors will bear increasing responsibility but also the risk for utility operations, the extreme end of this scale represented by a potential ‘shared benefits’ business model (where vendors provide services and solutions up front, but are paid a proportion of the savings/increased revenue generated). However, greater risk and responsibility can also bring higher revenues for vendors in the long term and further entrench their relationships with utility partners. The benefit for utilities is the ability to take the latest technology available and improve the investment case for AMI, whilst the ultimate goals of decreasing leakage, improving efficiency and lowering costs can benefit all stakeholders. Whilst the market may not be quite ready for shared savings just yet, the current picture already clearly shows IT-centric data services and a rise in AMI adoption as key trends to watch for water utilities and vendors as the technology-driven water network takes shape. For more information on the IHS Markit “Smart Water Utility Managed Services Report – 2018” please click here.